Choosing the Best Daycare Mississauga – Finding the best daycare for you and your child can be a difficult task. When looking for daycare for your child, you should start your search early (6-12 months in advance) in order to get into the daycare of your choice rather than settling for the one with the most availability. Many child care centres are booked months in advance – especially for younger children and infants. Your first step is to find a centre that is conveniently located next to your work or home – depending on what works better for you. Now that you have determined the location, how do you know which daycare is the best fit for you and your child? The only way to answer that question is to visit the child care centre during the day when you can observe the people, the facility and the program. One of the most important things to consider when finding the best daycare is the people. A great teacher makes all the difference! What qualities should you look for in a great teacher? One of the benefits of choosing a child care centre over home care is the trained and qualified staff. Staff should be educated in Early Childhood Education (and registered with the College of ECEs) in addition to first aid training and be knowledgeable about child development. In addition, staff should be warm, caring and sensitive to the needs of the children. They should provide your child with loving care, a stimulating learning environment and consistent guidance to supplement and enhance learning. When you visit the classroom, check out the teacher-child interactions. Do the children appear happy and engaged with the staff? What is the staff turnover? Are parents encouraged to visit the centre? As the Owner at Alpha’s Preschool Academy, a daycare located in Mississauga, I recommend that parents take time to observe staff-child interactions in the classroom before making a decision on daycare. Any daycare that does not allow parents to be included in the classroom should be avoided. 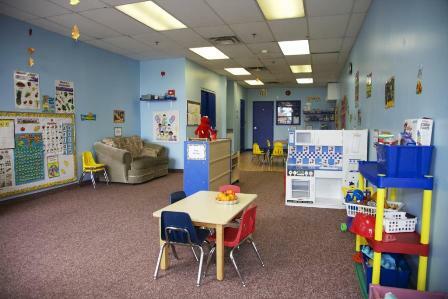 The facility where your child will be spending time should be bright, spacious and inviting. Rely on your own instincts. How does the facility look and smell? The health and safety of your child is paramount and the centre should be clean and sanitary. Look at the floors, walls, hallways, kitchen and bathroom areas. Are basic safety rules being followed? Is there evidence of child-proofing (latches, covered outlets, safety gates)? What security measures are in place to ensure that only parents and staff have access to the facility? Are the toys in good condition and sanitized daily? Are staff and children washing hands regularly? Be sure to check out the previous ministry inspections done on the facility. These are public records that are available to you online at the Ministry of Education website. The program or curriculum is an important part of the decision making process. You should choose a daycare that follows a philosophy of learning that is similar to your own parenting style and that you feel good about. The best daycare will have a schedule of activities that includes time for learning, structured activities, quiet time, active time, group activities, free time and meal time. These are all important elements of the child’s day and each time can present many diverse learning opportunities. There is much debate over what type of curriculum provides the best learning opportunities. Alpha’s Preschool Academy and Child Care Centre in Mississauga offers both an academic curriculum as well as a play-based environment to give your child the best start in life. At Alpha’s, we believe in focusing on the individual child and plan according to each child’s unique strengths and areas of development. Our academic curriculum includes Jolly Phonics, Math, Science, French and Music. We provide a progress report for your child twice per year to let you know how your child is progressing and meeting key milestones. The bottom line: you need to get to know and feel comfortable with the people, the facility and the program. You should like the people that your child is spending his/her day with. You should feel that your child is in a clean, safe and stimulating environment. You should feel that your child is learning to his/her highest potential!